panel. There are strips of felt going down each side where it slides, two rectangle shaped pads of what appears to be (corduroy) and thin foam across panel. 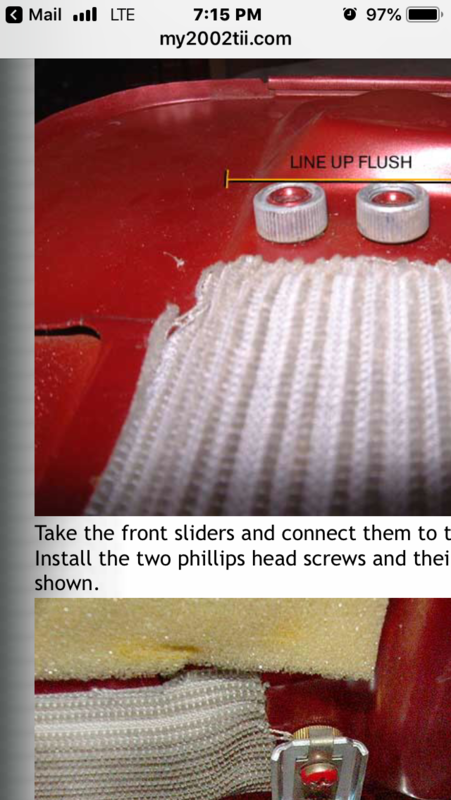 That site shows clearly how the mechanics go together but beware that article is wrong about fitting the 2 piece felt seal. Short piece should go on back of panel and long piece on front three sides of the aperture. Yes, you are correct. I believe Keith mentioned that, or it has been stated since he posted to the website. These are just glued onto the panel. Volvo metal end cables are about all the improvement one can do. 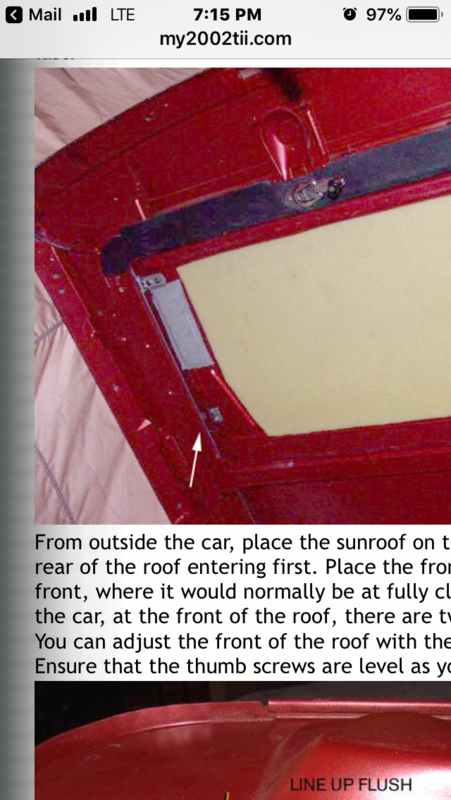 now trying to understand how to upolster the metal frame that covers the bottom side of sunroof panel. Originally no foam, just the headliner fabric folded over the metal frame & glued to the back. Metal frame has no foam. Foam is only fitted to sunroof panel. My 69 sunroof metal sliding skeleton piece had two types of foam padding on it. They were two different thicknesses. There’re no mentions of such foaming in catalogue. I’ve had three 02’s all with sunroof and non had foam in between roof lining cover and metal frame. Some pictures should help. These are all from my May 30, 1969 car. The perimeter metal portions have thin padding pieces glued in place. The rear roof section has (1) piece of foam padding centered under the rear headliner support rod along with a thick cork type piece that is glued to the end of the sunroof cassette insert. A black foam type pad is glued to the front edge of the sunroof opening with cut out for the crank handle gear. Later cars (not sure if this change coincided with the square light cars) have larger pieces of foam padding above the headliner along the sides. Here are some pictures of a 76. Green colored pad still in place. Driver's side pad not installed. Note the unusual application dates for the large foam pieces in RealOEM.